A lively room atmosphere is created by shades of rich blue, yellow and green. 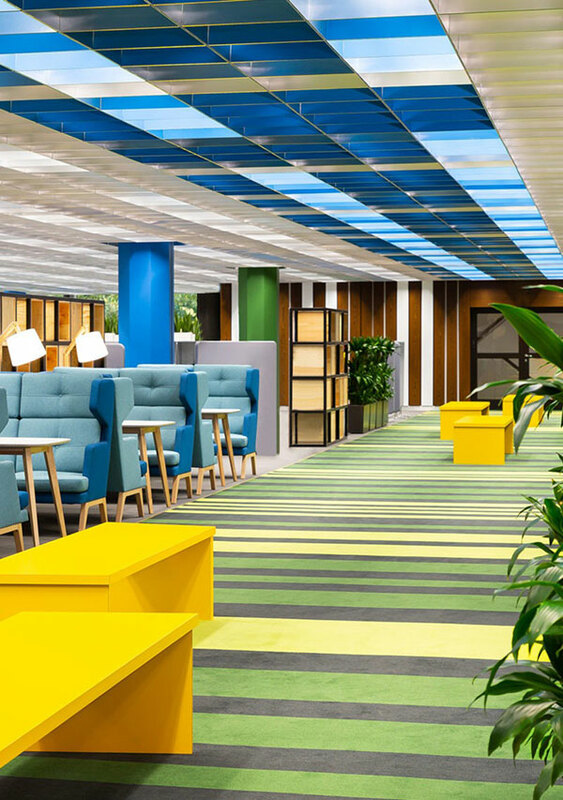 The color concept is mirrored in the pillars, the ceiling lighting and the carpet, resulting in a harmonious overall impression that simultaneously provides an optical contrast between the individual work stations and the dynamic group working zones. The office furniture in the individual work stations is defined by a grey colour scheme which supports a quiet atmosphere for focused work. In addition, individually designed wooden partition racks in a black frame structure provide privacy and add a touch of start-up feeling. A special highlight is the «catwalk», a broad carpet striped in green, yellow and black that covers the middle of the office floor. Lush plants and seating arrangements along the carpet invite creative brainstorming. Team meetings and joint projects can also be held conveniently using the specially designed work islands. 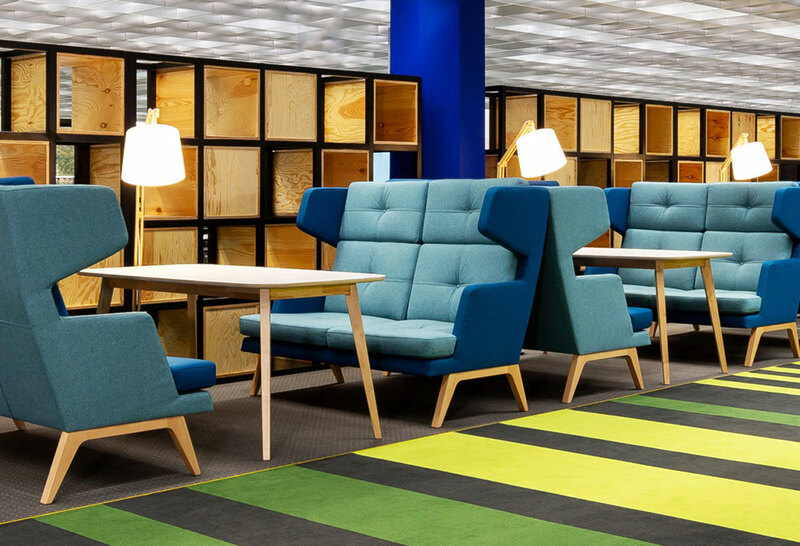 Floor lamps, comfortable sofas and wooden tables create a pleasant co-working atmosphere. High backrests and side padding support concentration and help to focus on group projects and smaller work projects. In addition, the self-contained conference room is available for larger meetings.